Every Valentine’s Day, my special someone and I celebrate with a night out at some fancy restaurant and he always grabs the cheque. This year, I’ve decided to switch things up and treat him for a change. I’m going to wine & dine him. I’m going to surprise my boo with a sophisticated, delicious home-cooked dinner. Everyone knows that a fabulous meal MUST be paired with the perfect wine, so I started with that. I went to my nearest LCBO and started asking the staff for some recommendations. 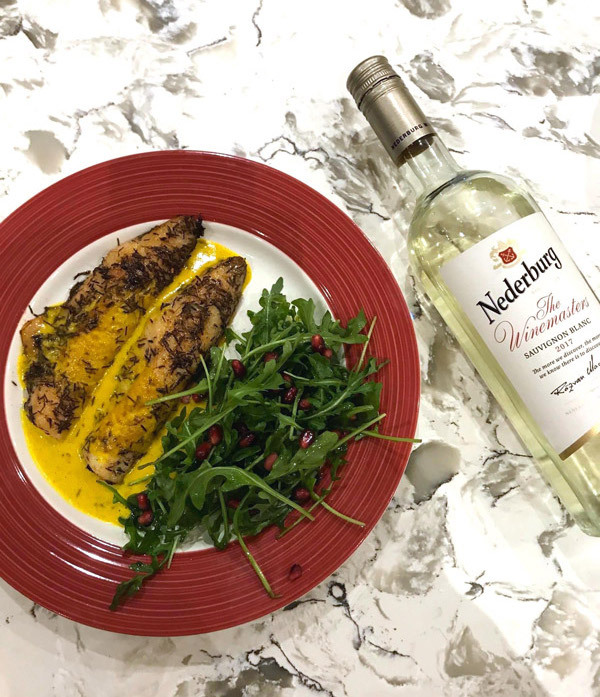 I picked up a bottle of Nederburg The Winemaster’s Sauvignon Blanc and returned home with a ton of inspiration to plan out an exotic dish that would rock my boyfriend’s world. 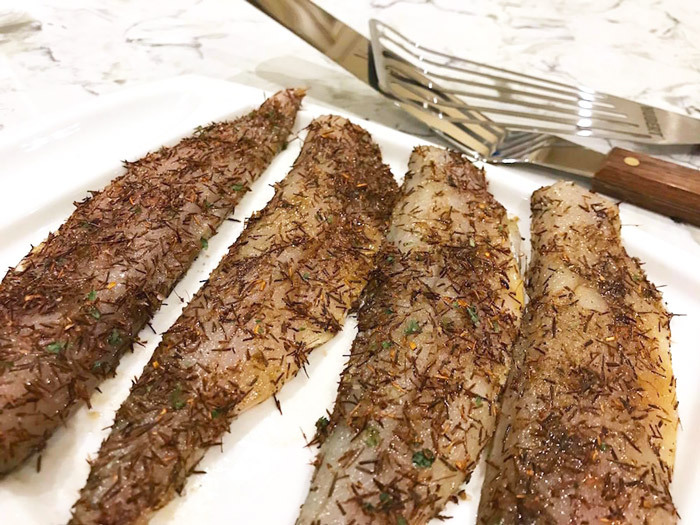 I found a great recipe for Cape Malay Spiced Pickerel (white wine and spiced fish are made for each other) by the mother & son chef team behind Jack and Lil’s. 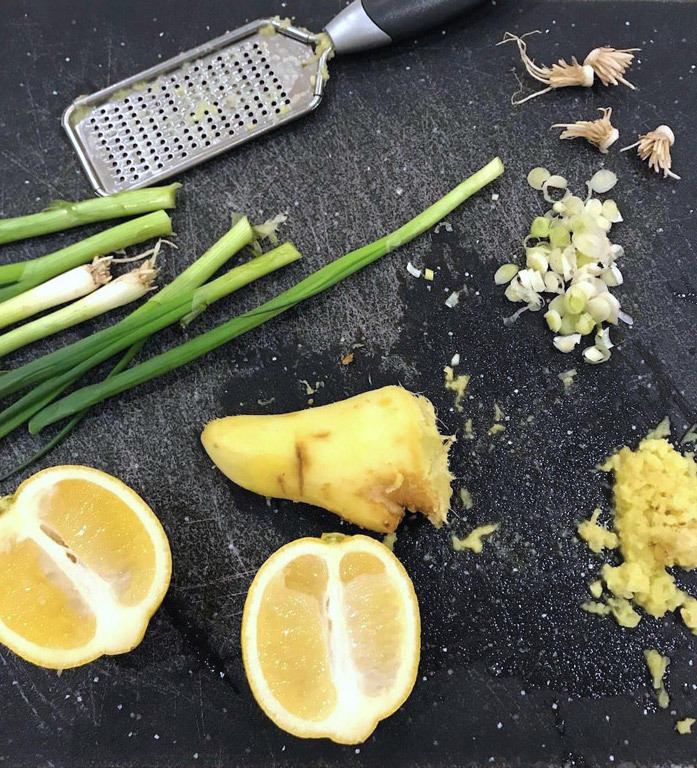 The colourful spices and fresh ingredients, complimented by a South African wine that really enhances the flavours, had me really excited to bring out my inner chef/sommelier. But first, I had to do a test run before this special evening. My cooking skills are a little rusty and we can’t leave these things up to chance. Thankfully, this recipe was easier than I thought. Seriously, if I can do it, you can do it too. 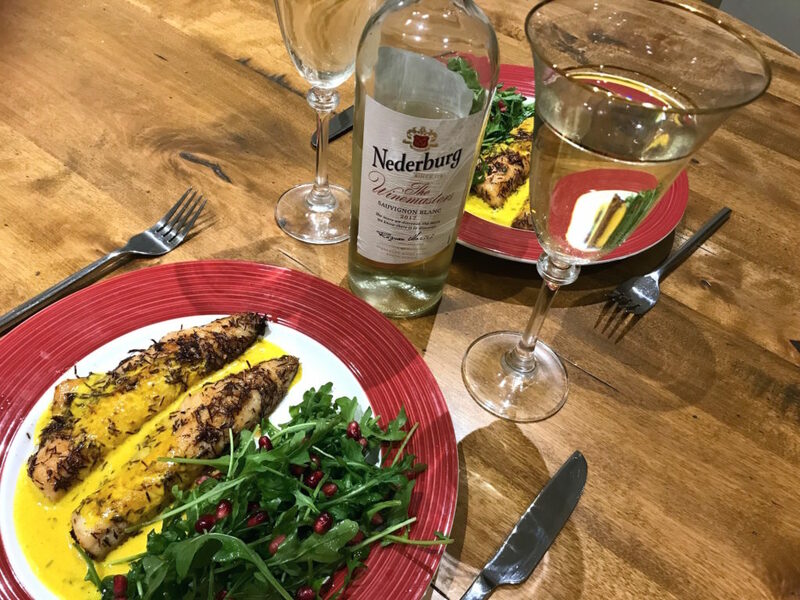 If it doesn’t work out exactly as planned- well then, just enjoy a little more of the Nederburg Sauvignon Blanc 😉 You’ll love the tropical, crisp and zesty notes of herbs and fruits. 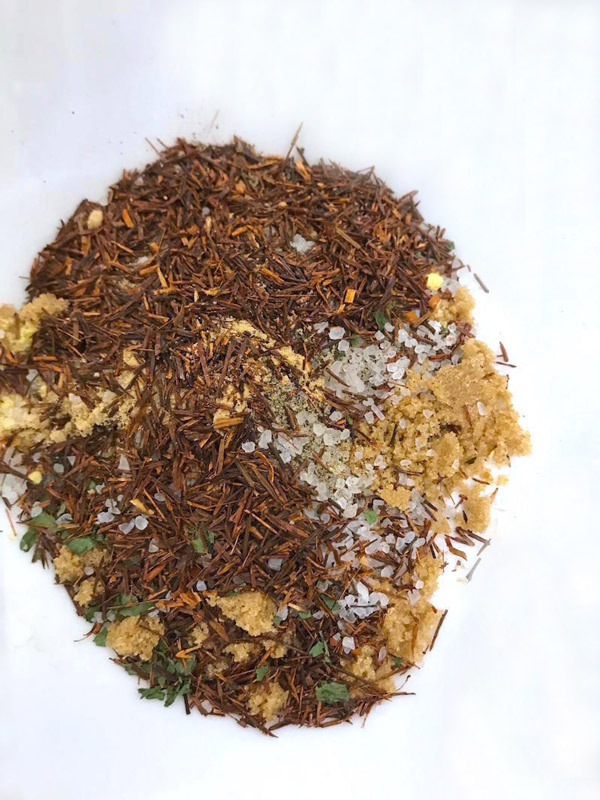 I’m sharing the ingredients and steps right here so you can give your sweetheart the 5-star restaurant experience. Add the ginger, garlic, chutney, lemon juice and coconut milk. Simmer for 6-7 minutes, stirring occasionally. Place into blender and blend until thick and smooth. Pan sear your fish on medium-high with canola oil for 3 minutes per side. The skin can be on or off, whichever you prefer! 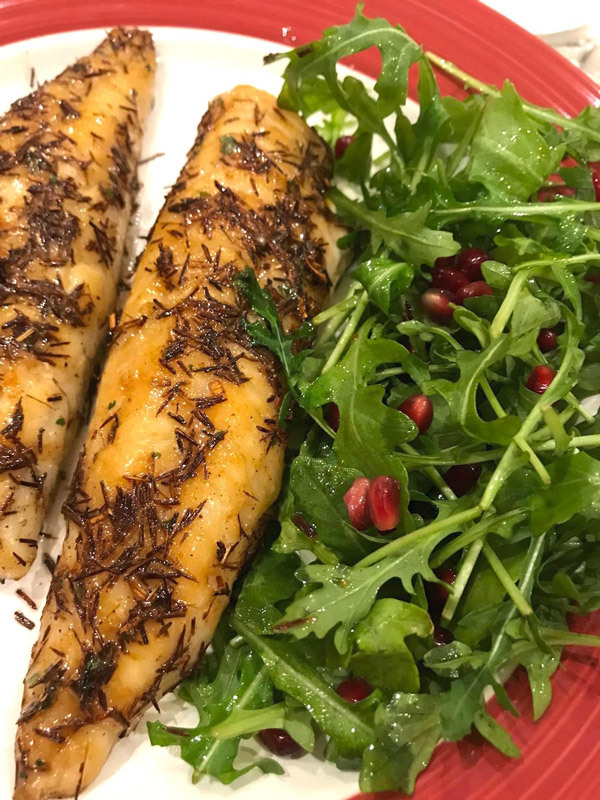 Place a nice arugula salad on the side with pomegranate seeds, olive oil and your favourite dressing. Drizzle as much of the Cape Malay sauce on top of your fish as you please. You might love it so much, you’ll be saving more for later! I know I did. 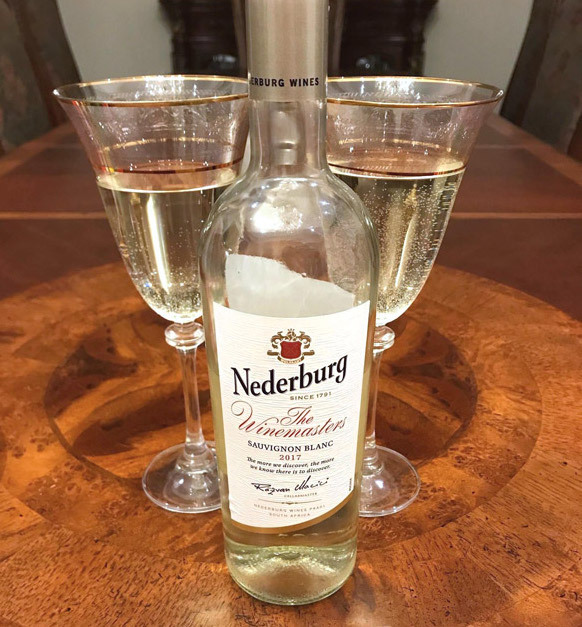 Pour yourself and your sweetie a cool glass of Nederburg The Winemaster’s Sauvignon Blanc. Wait for compliments on how the food and drink is spectacular and demands for seconds….for the wine and the food! 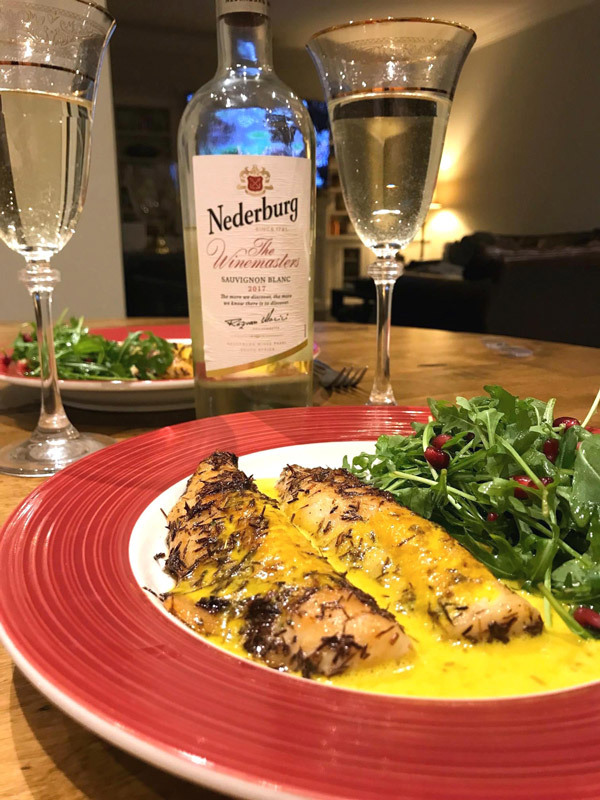 Although Nederburg was kind enough to provide us with the wine and recipe for this post, opinions are our own. Please drink responsibly.